A day after Buick introduced the new LaCrosse they decided it was also time to reveal their second premiere for the New York International Auto Show, the Regal in both the regular version and the sportier GS model. For those who aren't aware the Regal is nothing more than the North American version of the Opel / Vauxhall Insignia. The exterior did not undergo major changes. The most obvious ones are the redesigned wing-shape LED daytime running lamps and LED tail lamps, while the normal version of the Regal has new bumpers. 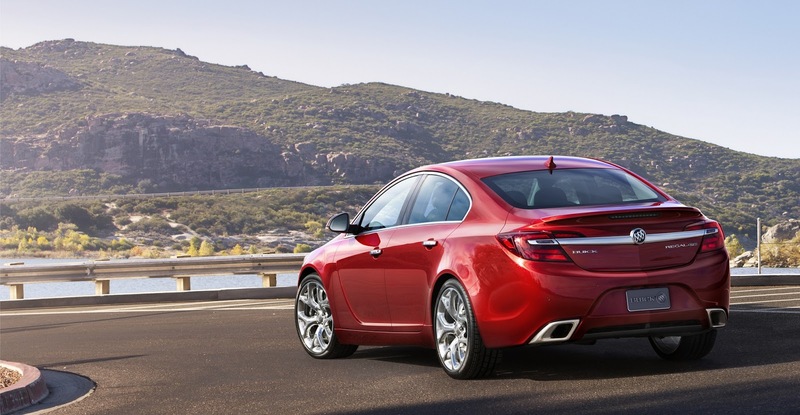 On the inside, the 2014 Regal will have a redesigned central instrument panel and console, and a new interior trim combination. 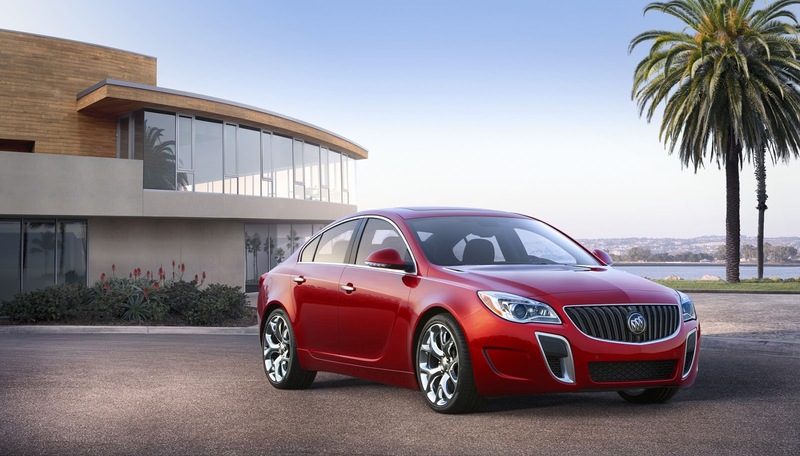 But Buick wants us to focus on the several new technologies and safety systems they added to the 2014 model. The new Regal, like the LaCrosse, will come with a new radar- and camera-based safety features like the Rear Cross Traffic Alert, Lane Departure Warning, Forward Collision Alert, Lane Change Alert, Side Blind Zone Alert and Collision Mitigation Braking, and the improved IntelliLink infotainment system. The Buick eAssist will be available with a four cylinder 2.4 liter DOHC engine that produces 182hp (132kW) and 232Nm (172lb/ft) of torque, a 115V, 0.5-kWh, 15kW peak power lithium-ion battery, and an electric motor with a power output of 15hp (11.2kW) and 107Nm (79lb/ft) of torque. The Turbo and GS versions are both available with the same 2.0 liter DOHC inline four turbo engine that now produces 259hp (193kW) and 400Nm (295lb/ft). The previous GS had 270hp. 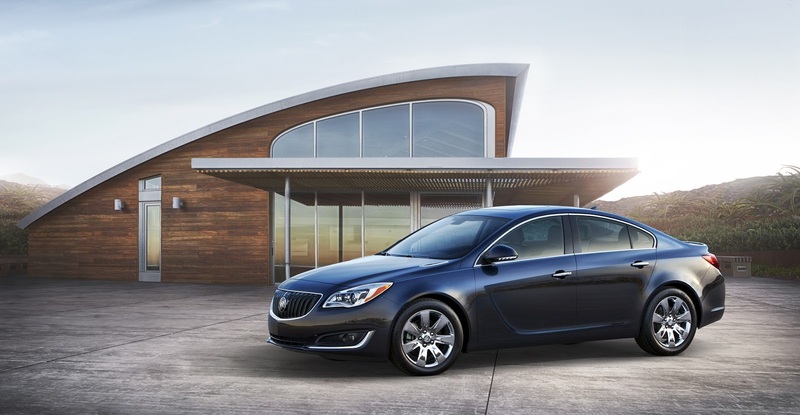 The standard transmission is a six-speed automatic, but Buick offers an optional six-speed manual and the new Haldex all-wheel-drive system for the GS. Sales start this fall, but don't miss the public presentation at the New York International Auto Show starting in just two days.